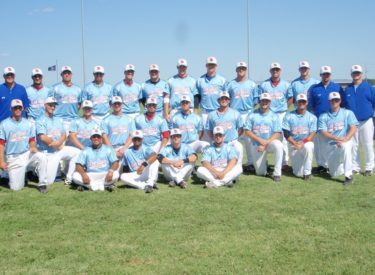 Two of the top teams in the NBC field face off Thursday night at Lawrence-Dumont Stadium in Wichita. The 32-13 Bee Jays face the 36-13 San Diego Force after the Force’s 18-8 win over the Katy Collegians Tuesday morning in Wichita. The Force play in the Southern WBA with the San Diego Waves, San Diego Stars, U.S. Marine Corps, and San Diego Mavericks. The Stars and the Waves are also in the NBC World Series. The Force are a hot team winning six consecutive games. The Force are making their third consecutive trip to Wichita and placed 16th last year. The Force won the Memorial Starts and Stripes Tournament.